Remember the refreshing Coconut Water that brought you back to life on a hot summer day & the rich Kesar-Badam milk that has been the best beverage for every meal since forever? Well, that’s where we step in.We want to redefine the way India thinks...and drinks. Whether it’s a plate of Biryani, or a slice of Pizza, we opt for a beverage that is unhealthy.This isn’t because we’re out of options but because corporates have slowly but steadily taken control of our actions with marketing gimmicks. 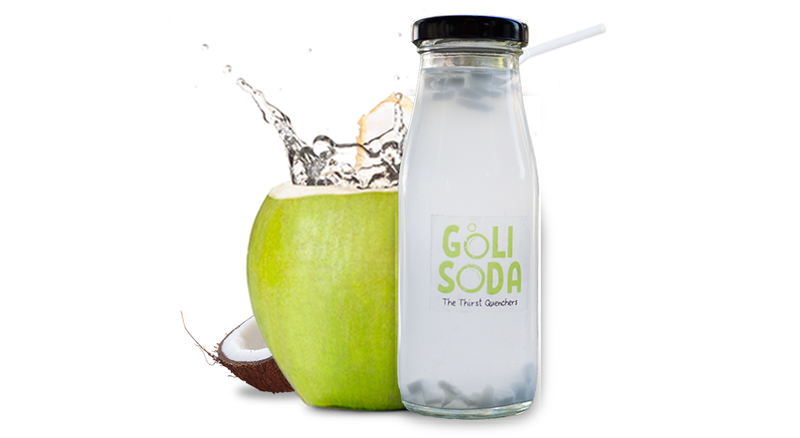 We’re the same old Goli Soda you’ve known of all through your childhood. The only difference being, we deliver to your doorstep and we’re hygienic. Let’s show the world how well Kokum Soda can go with Goan Rava Fish. Or, how delicious Arabian Pulpy Grape Juice can taste with a Shawarma, shall we? Cheers! Let’s drink to that!